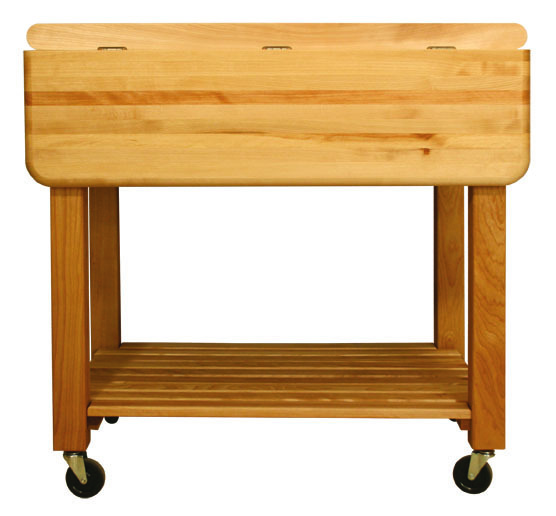 The Grand Work Center from Catskill Craftsmen features a hardwood worktop that’s two inches thick and distinguished by its rounded edges and corners. It measures 36” wide by 24” deep, and with the drop leaf extended, 36 by 34 inches. 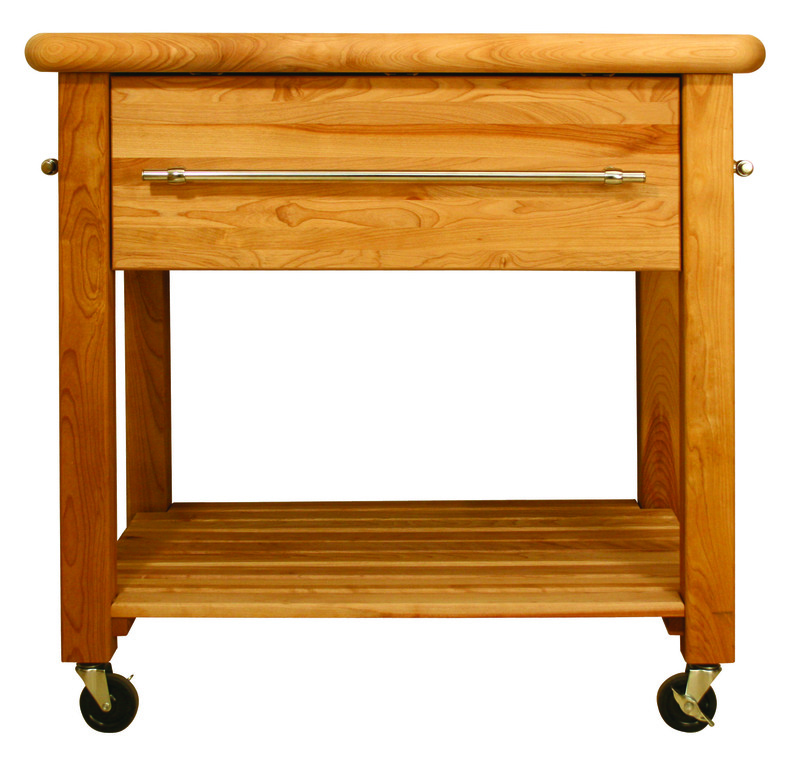 The long towel bar on the cart’s front doubles as a handle for a huge drawer that’s more than two feet wide, a foot and a half deep and 9.5 inches high. 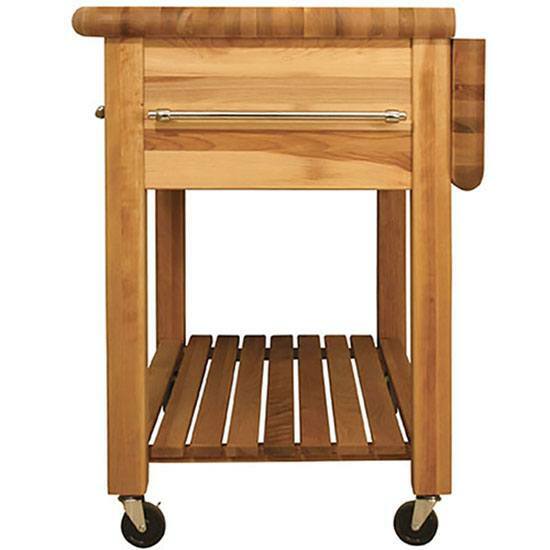 Full-extension drawer guides help you take full advantage of 3 cubic feet of drawer storage. A sturdy slatted shelf that measures 31.75 in. wide and 21 in. deep is perfect for stowing heavy kitchen items such as cast iron pots, food processors and blenders, or serving bowls and trays. The Catskill Grand Workcenter sits on four caster wheels, two of which are lockable. 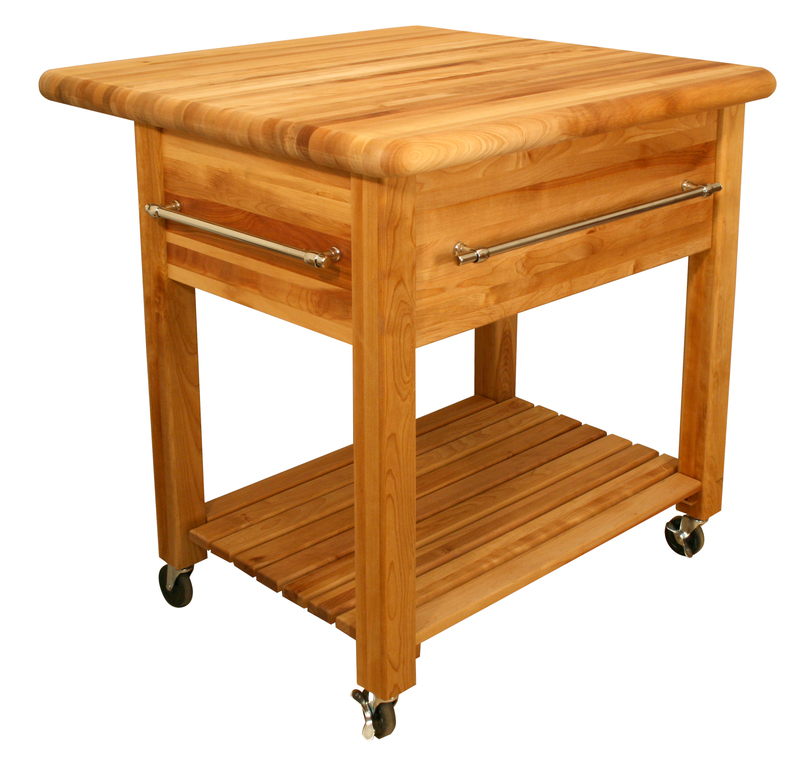 Also worth noting are the towel bars on either end of this handsome kitchen cart which also serve as handles for the cart.